OKLAHOMA CITY, OK (JUNE 19, 2017): Indian Motorcycle Racing and the Scout FTR750 captured its fourth sweep of the season at the OKC Mile held at Remington Park to remain undefeated through eight races. 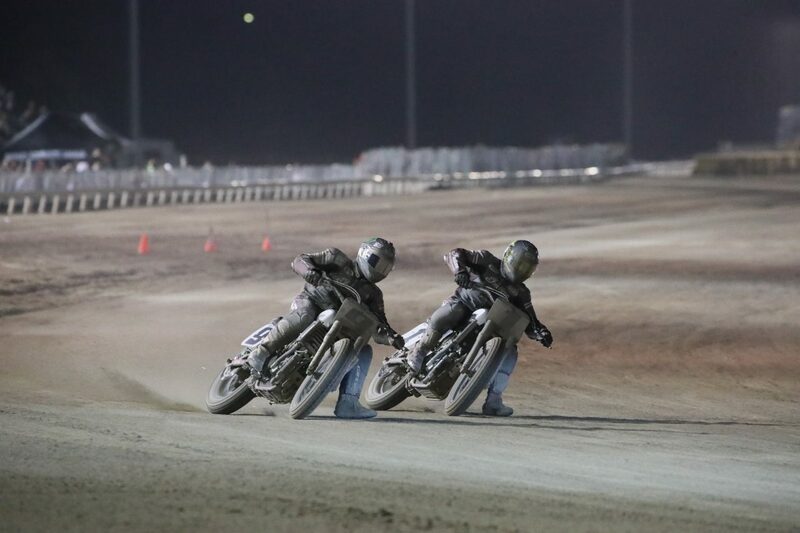 Jared Mees (No.9) came-from-behind on the penultimate lap to pass Wrecking Crew teammate Brad Baker, who had directed a seemingly insurmountable lead during the main event. 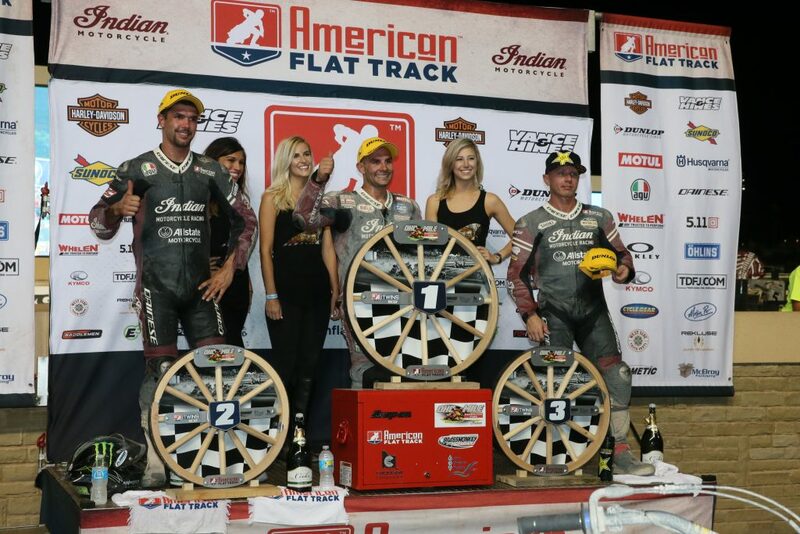 The win was Mees’ second straight, propelling him to 177 points and the overall AFT Twins lead. 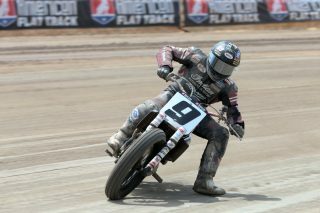 The Scout FTR750 and Indian Wrecking Crew were untouchable at the OKC Mile, from the heats through the main event. Each rider easily managed to win their respective heat, capturing top positions during semi runs, and outpacing the field in the main with the fourth place finisher 23 seconds off Mees and 17 seconds off the podium. 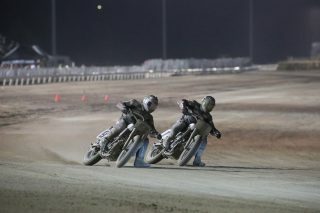 Running a similar playbook as his victory at Red Mile, Mees stayed close behind Baker only to sneak past him while both riders fought to navigate a sea of slower riders as they lapped the field in the closing laps. Reigning Grand National Champ and Indian Wrecking Crew member Bryan Smith cleared the sweep by capturing third, keeping him second in the overall standings. Mees not only advanced in the points lead, but also does so heading into his favourite discipline of the series, the half-mile. Smith remains in striking distance to Mees’ 177 with 169 total points. 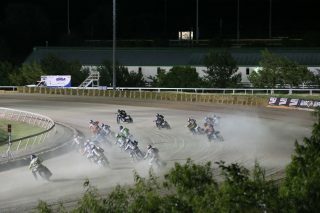 Baker closed the gap between he and the third place rider to 12. His second-place finish gets him to 112 points this season. 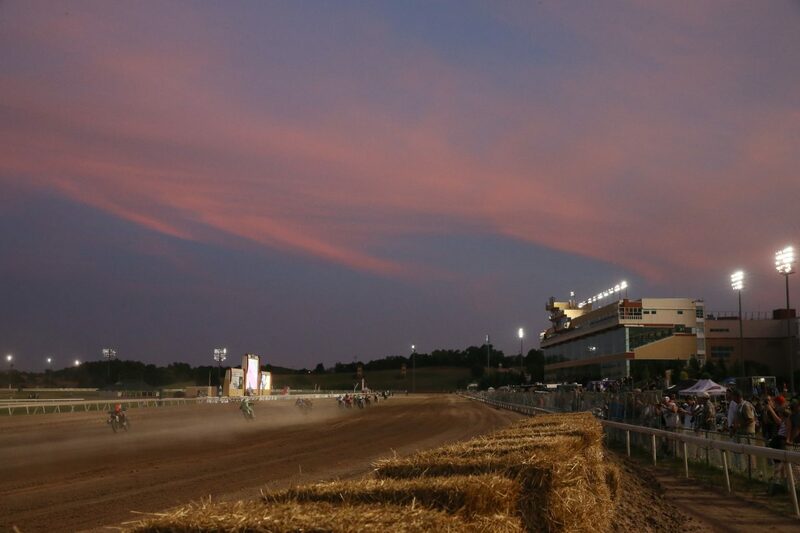 Indian Motorcycle Racing, backed by Allstate Insurance, will look to continue its incredible run as American Flat Track heads to the Lima Half-Mile at Allen County Fairgrounds in Lima, Ohio on June 24.